am really excited to announce I am the sponsor of @jessboyd71, number 5 @ashfordtownmiddxlfc. Mind Over Body has sponsored Jessica and I am so very proud and excited. 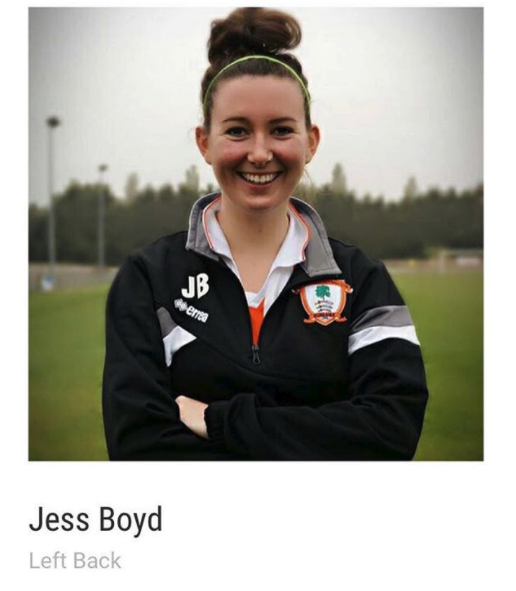 Jess is a highly regarded member of Ashford Ladies team both on and off the pitch. Jess is calm in possession of the ball, has a real desire to get forward at every opportunity in the game and possess a real eye to play through the oppositions defence.